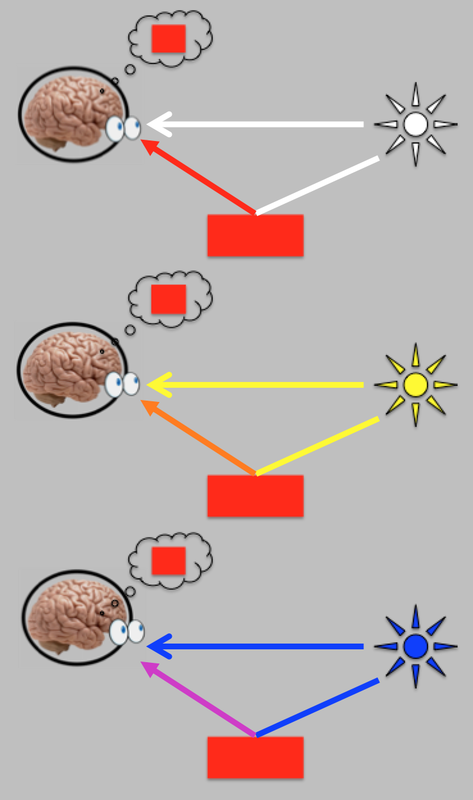 The brain is using spectral information of light waves (their wavelength mix) to aid in the identification of objects. This works because any given object will absorb some wavelengths of the light source (the illuminant) and reflect others. For instance, plants look green because they absorb short and long wavelengths, but reflect wavelengths in the middle of the visible spectrum. In that sense, plants – that perform photosynthesis to meet their energy needs – are ineffective solar panels: They don’t absorb all wavelengths of the visible spectrum. If they did, they would be black. So this information is valuable, as it allows the brain to infer object identity and help with image parsing: Different but adjacent objects usually have different reflectance properties and profiles. But this task is complicated by the fact that the mix of wavelengths reflected off an object is dependent on the wavelength mix emanating from the light source in the first place. 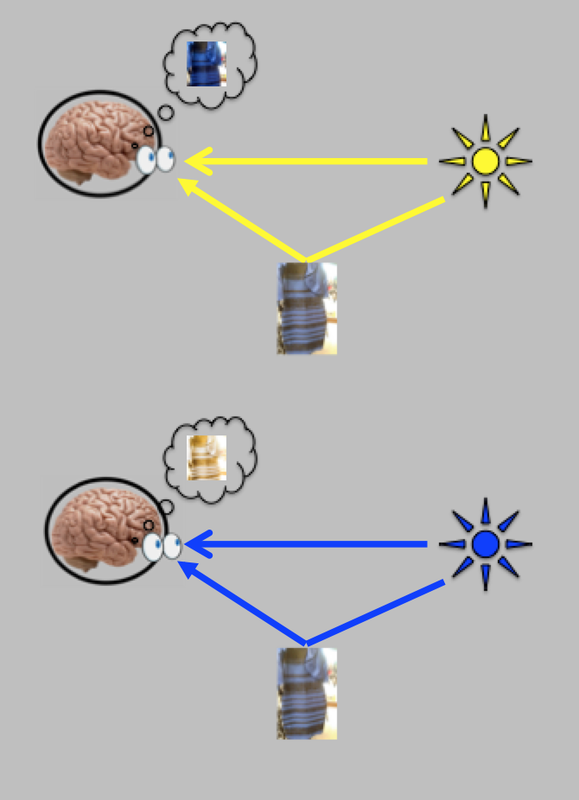 In other words, the brain needs to take the illumination into account when determining object color. Otherwise, object identity would not be constant – the same object would look different depending on the illumination source. Illumination sources can contain dramatically different wavelength-mixes, e.g. 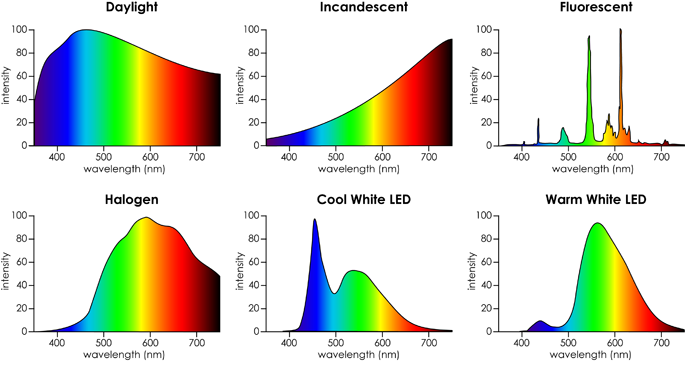 incandescent light with most of the energy in the long wavelenghts vs. cool light LEDs with a peak in the short wavelengths. This article originally appeared in Pascal’s Pensées. To access the original article, click here.